We released a new update for Toornament. This update is focused on the Online Dashboard. We redesigned the navigation, and improved the structure section. First, we appended a second level on the left side navigation; making it faster to select a stage. Secondly, we moved the action buttons and the dropdown section menu to the right top corner. If you want to configure a stage, close a group, the action buttons are now in this corner. 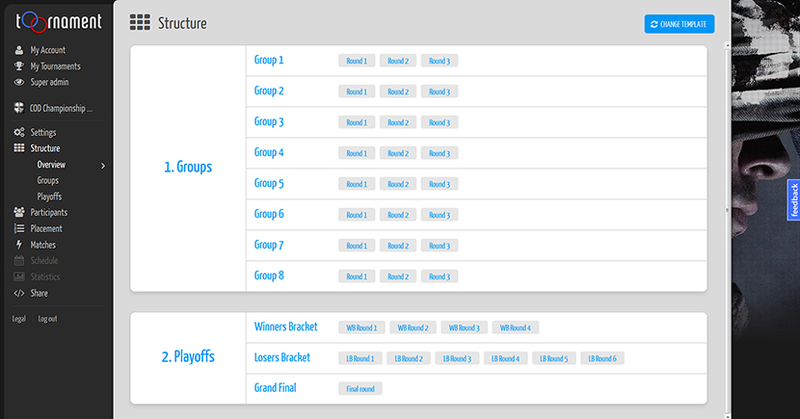 The dropdown menu allows you to select a specific part of your tournament: a group, a round, or the loser bracket of your double elimination stage… Finally, the page’s title is now a clickable breadcrumb. Required by our user Mads, Age of Empires 2 joins the games managed by Toornament.